NASA’s plan to scoop up dirt and gravel from an asteroid has hit a snag. Scientists thought the asteroid Bennu had wide, open areas suitable for the task. 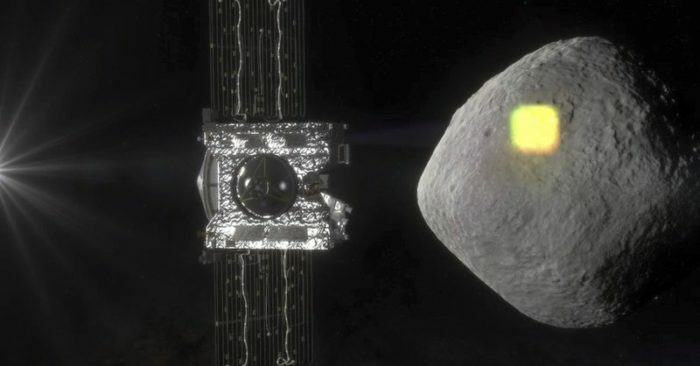 But a spacecraft now circling the asteroid revealed the surface is covered with boulders and there aren’t any big, smooth spots for sampling. The spacecraft, called Osiris-Rex, is supposed to bring the samples to Earth for further study. The small asteroid is 70 million miles (110 million kilometers) from Earth.